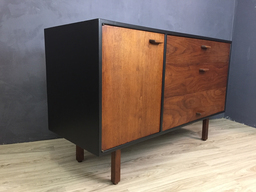 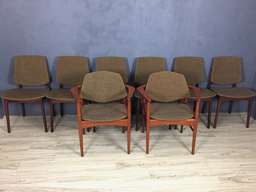 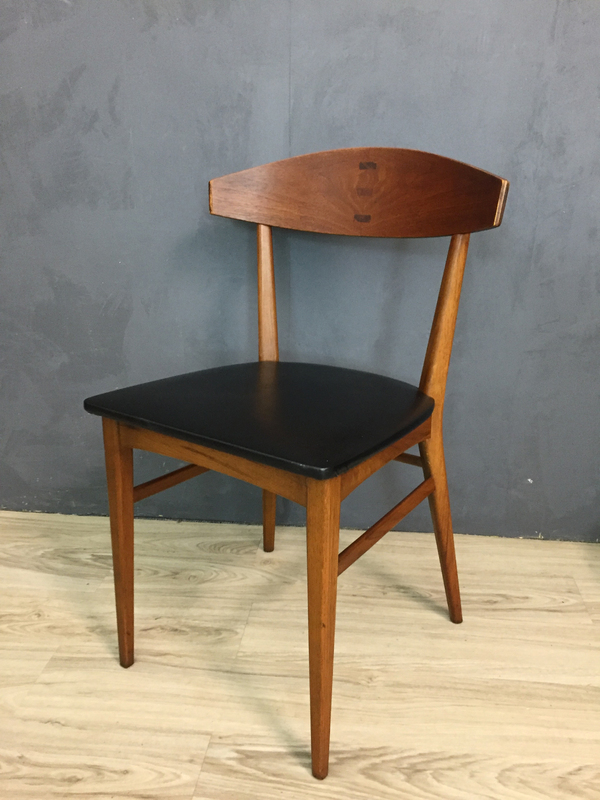 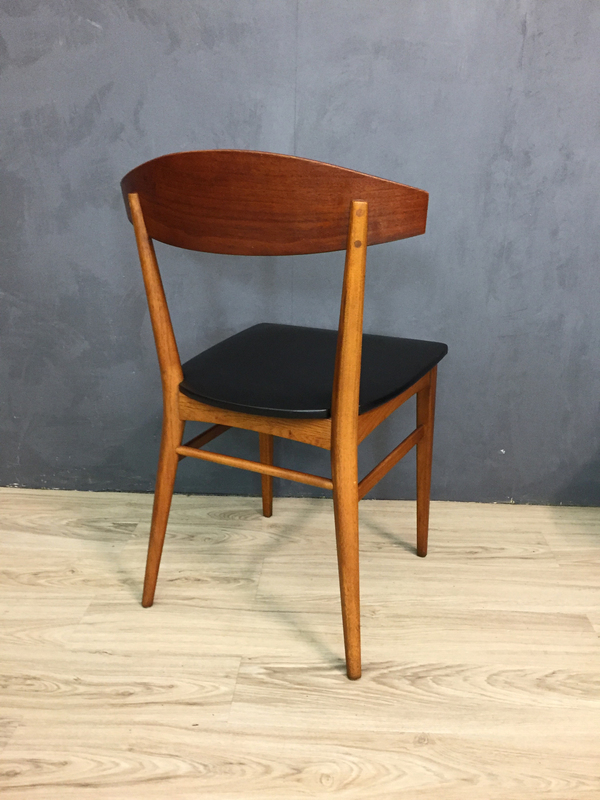 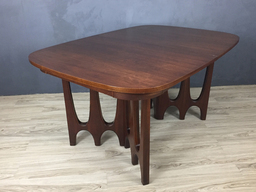 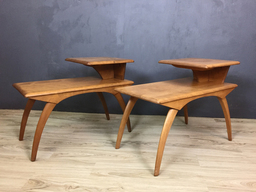 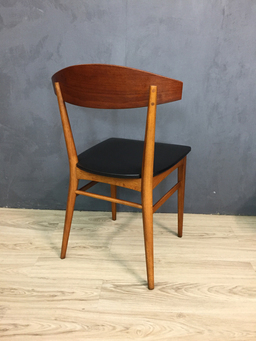 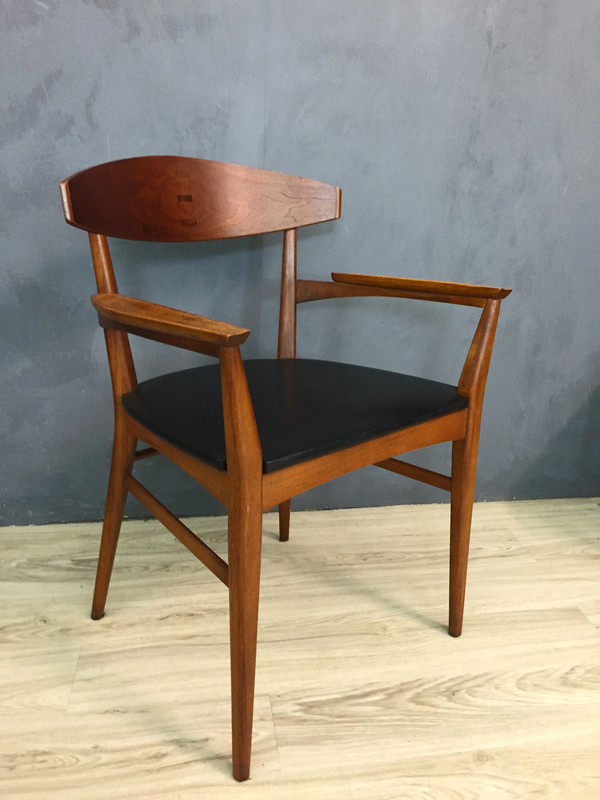 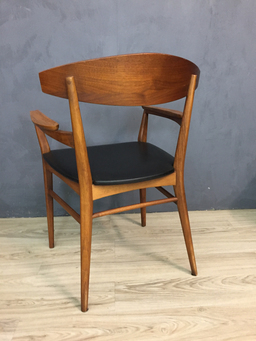 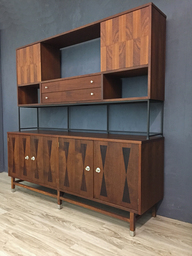 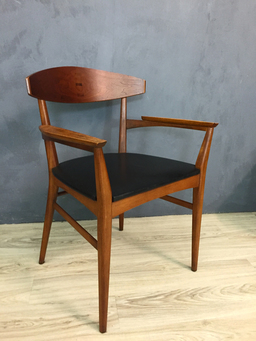 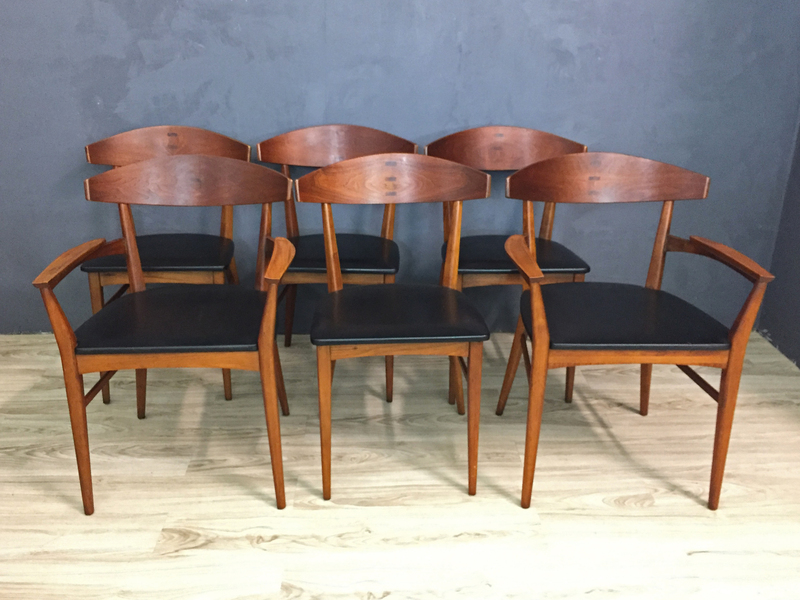 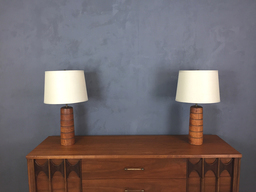 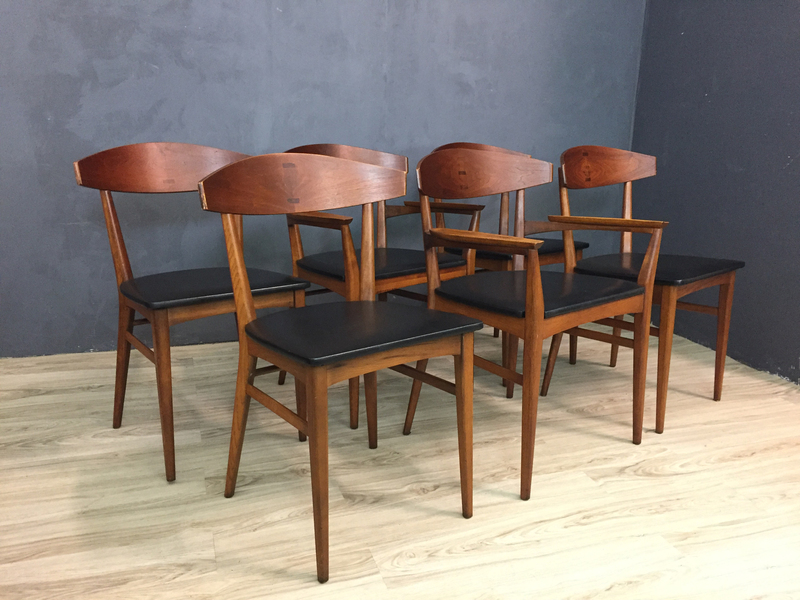 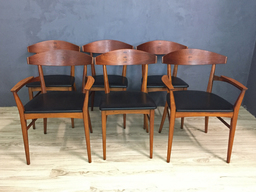 This set of six mid century dining chairs in the Danish modern style, features beautiful curved walnut wood backs with a rosewood inlay. 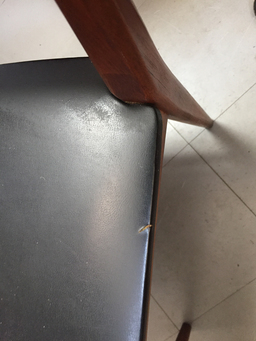 The seats are covered in the original black vinyl. 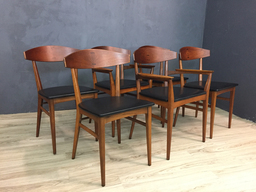 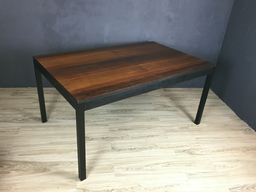 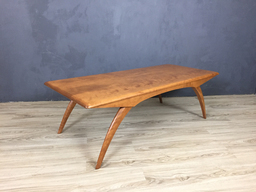 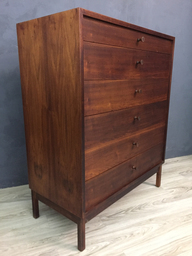 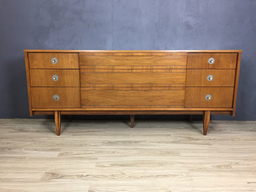 In excellent condition with solid joints and only minor marks of age. 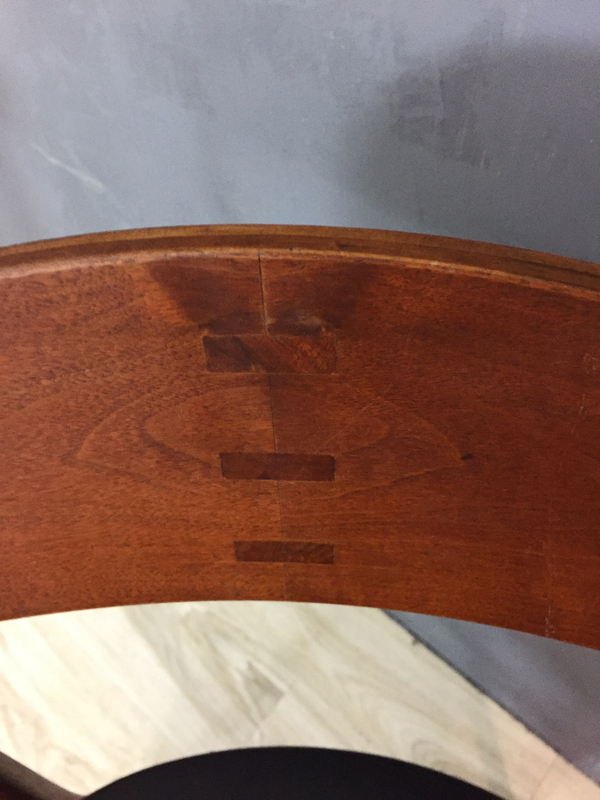 Vinyl is faded but in good condition – only one small rip in one seat (see photo). 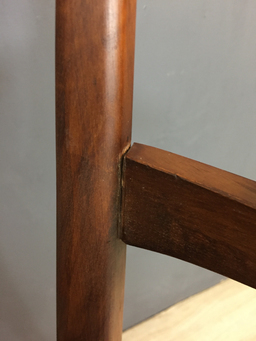 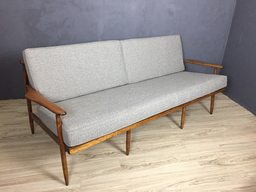 The arm chairs have a small gap between the arms and the frame but no movement.